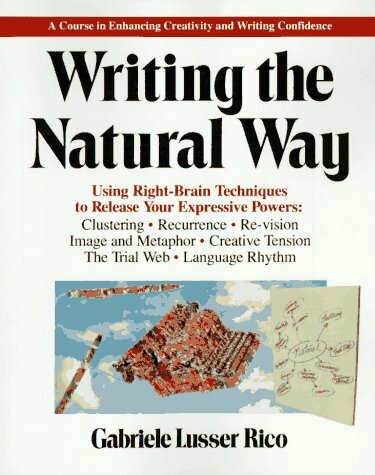 Writing the Natural Way: Using Right Brain Techniques to Release Your Expressive Powers, Gabriele Lusser Rico, Putnam, 1983, 0-87477-236-2, $14.95, 287pp. 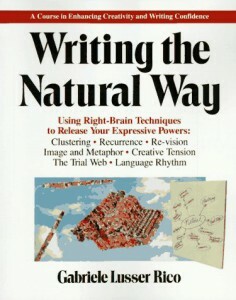 Right-brain studies have been used for years (well, okay, the last 10-20 years) to enhance the teaching process for visual artists, but Rico was the first to extend this research into the realm of the writer. You cannot deny her scholarship nor her science–the brain hemisphere theory is quite accepted today, and has been proven in a number of ways. So how does this theory help one become a writer. First off, as any author will tell you, writers write. Rico cannot give you a magic spell that will somehow change you into a New York Times Bestseller overnight. But if you have ever suffered from the dreaded “writer’s block” or had difficulty in spurring yourself to write on a particular subject, Rico provides some exercises here that will help you “tap” into the creative side of your brain. The basis for all her exercises is what she terms the cluster–a free association on the subject that brings in emotions, colors, sounds, and taste to the visual world of your subject. Getting you past your left-brain adherence on perfection and sequential order is her first goal, then awakening you to the connections that you are capable of through creative tension, recurrences, and rhythm. Okay, I’ll admit that my personal view of Rico is not as positive as the above might appear. While I saw the advantages of everything she puts forward, I found her presentation of these ideas to be tinged with a slight “new age” flavor, and the only new thing she really brings to the table is the “cluster” idea. I have used it since reading about it, and I have found it useful, but I’m not sure it was worth the 280+ pages to obtain this one idea. On the other hand, I’ve never really been “stuck” for words (I’m sure you could not have guessed that). A new revision of this book is due this year, and I am interested in how Rico responds to the 90s (or, even, if she does).